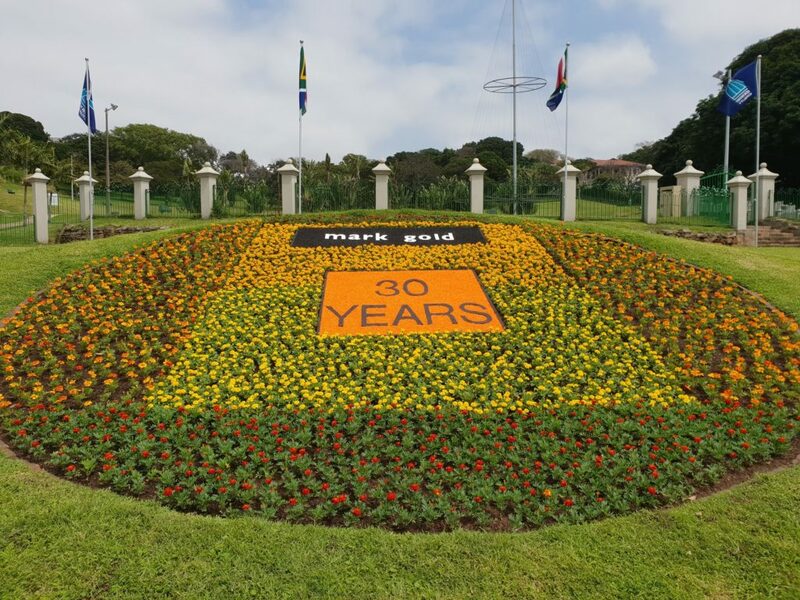 Mark Gold Jewellers is celebrating 30 years in business. In celebration of this momentous occasion a carpet bed is now outside Jameson Park. The business has been based at the corner of Florida and Innes Road for 20 years. We wish Mark Gold Jewellers many more successful years ahead!